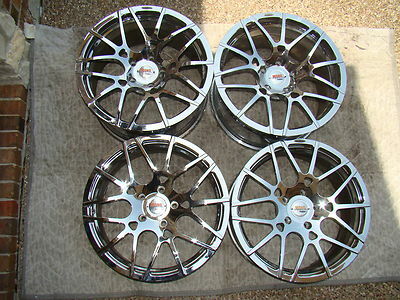 This auction is for a lightly used set of Original, Equipment Forgiato Mono Leggera 20" Chrome wheel set for Porsche Panamera Porsche This wheel set will fit all Panamera model such as Panamera, Panamera S, Panamera 4S and the Panamera Turbo from 2010 to 2013. The Forgiato Monoblock Leggera 20" wheel ia a one-piece application yet not willing to settle for the restrictions of a cast wheel, the Monoleggera offers a viable option to the luxury and performance advocate. Chiseled from a solid block of forged aluminum, the Monoleggera is not only extremely durable but exceptionally light. The Monoleggera line is ideal for the performance enthusiast that fancies a wheel capable of tearing up the track on weekends while being tough enough to withstand a daily commute. 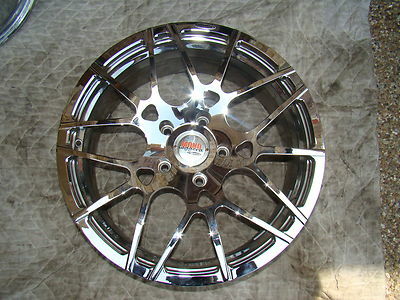 The most notable features of these sporty lightweight forged aluminum wheels are the Five V-Shaped dual-arm spokes features 15 (fifteen) spokes and a 9.5-inch width for the front and 11-inch width in the rear wheel. The auction is for Wheel set and matching center caps only. 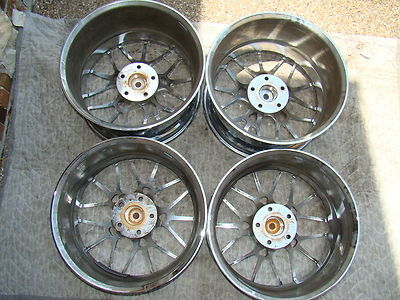 This set of wheel are in like new condition with no chips or ware. There is no structural damage such as bends, cracks, curb rust or scratches. The wheels are straight, round and true. The Wheel/Tire set is in prinstine condition. 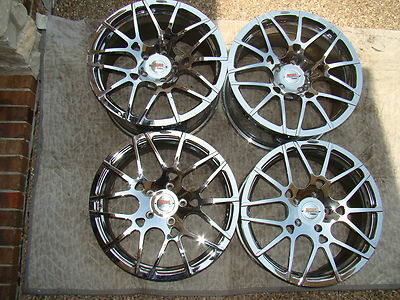 This wheel set alone reatils for $6000 plus tax. This is a nice opportunity to dress up your Porsche at a reasonable cost. Please note that the wheel and tire will be ship in each individual box to safeguard against damage. Please read my feedback and bid this item with full confidence. Thank you for reading my listing.